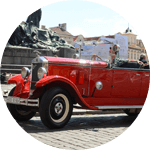 "Fun tour in an open top vintage car"
"What an amazing way to see prague"
"Charming driver, interesting way to see the town"
We offer the sightseeing tours in the center of Old Prague in Czech vintage cars from the years 1928-1935. 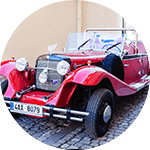 These are original historic cars Praga brand from Czech production. All cars are after complete renovation. 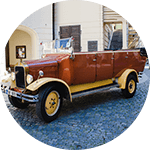 We also offer the tours with specially manufactured cars MB 770 from the 2015. 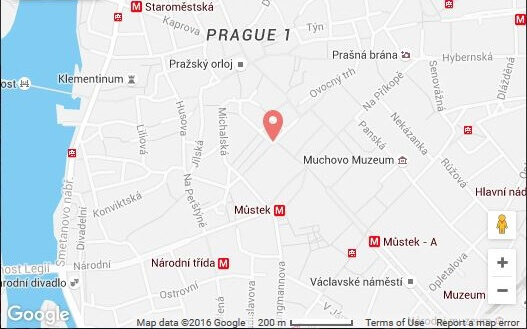 Enjoy the beauty of Prague´s historic center with our friendly, and professionally trained drivers who will be glad to provide you with detailed information about the history and heritage not only in Czech, but also in several other languages. We will be happy to answer all your questions. All our programs are available for individual visitors or for small groups. For 120 minutes tours and more you will receive bottle of sekt as gift. Possibilities of tour depends on available cars capacity. In case of full capacity it is possible that waiting time will be longer. If you have not found any proper tour, let us offer to you a chance to organize a special individual tour according to your desires and requirements. Special cars for special moments! Best choice if you are large group. Just let us know!